‘I’ve waited a long time for young criminal mastermind Artemis Fowl to meet his match. Finally, it’s happened. A second juvenile genius has discovered that fairies do exist, and she is determined to capture one for scientific study. And not just any fairy. The newcomer intends to trap a demon – the most human-hating species unknown to man. Only an ancient time spell separates the demons from mankind – and Artemis must prevent it from unravelling. If he fails, the bloodthirsty tribe will re-launch their quest to wipe every human from the planet. Because that’s what demons live to do. The can only be one winner – and this time it might not be Artemis Fowl. Artemis Fowl and the Lost Colony is the fifth book in the Artemis Fowl octet. The reviews of books; 1, 2, 3 and 4 are available in this blog and in case you haven’t read one of them, don’t continue reading this review. Coming to the crux of the plot, another person has come to know about the existence of fairies, that is, the eighth fairy family, the demons. And this ‘another person’, is very similar to Artemis; another juvenile genius, Minerva Paradizo. But, Minerva is similar to Artemis’ older self, who wants to exploit the fairies for her personal gains and Artemis has got to stop her, and it is not going to be easy. The Lost Colony’s plot was excellent; with the highlight being the intellectual confrontations between Artemis and Minerva, both trying to outwit each other. The demon world, their attributes and attitudes were brought out well by the author. The elements of Artemis Fowl novels were ever present, with the degree of sarcasm only increasing in this package. This could have been the best novel in the book; hands down, had it not been for the extremely boring, last quarter of the novel which happens in the demon world. Yes, Artemis’ intellect was put to good use, but in many cases, Colfer was simply pulling a rabbit out of his hat, to make the situation favourable to Artemis. 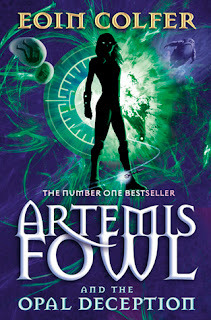 It is a pity that I can’t rate this book as high as any of the previous novels, notwithstanding the fact that I enjoyed three quarters of this book more than any other Artemis Fowl novels (including The Time Paradox and The Atlantis Complex), the last quarter was boring, dull and childish. I’d award this book a rating of six on a scale of ten. ‘Arch-criminal Artemis Fowl has had his mind wiped, and now someone wants him dead. He remembers nothing of the man-eating trolls and flame-throwing goblins from his past. It might help if Artemis actually read what his much-abused biographer has written. Because now he needs his memories back – and fast. A certain power-crazed pixie is out for revenge and Artemis’s one fairy ally, Captain Holly Short of the Lower Elements Police, is on the run, charged with murder. Suddenly everyone is depending on Artemis Fowl: the only human who really scares the People. Artemis Fowl and the Opal Deception is the fourth novel in Eoin Colfer’s Artemis Fowl octet. The reviews of books 1, 2 and 3 are available in this blog and I’d recommend readers to follow the sequence. In this, Opal Koboi, the pixie genius is back, and she is seeking vengeance on all those who foiled her earlier plan to conquer the fairy world (in The Arctic Incident) and those in the death list, inevitably include Holly Short, Julius Root, Foaly and of course, Artemis Fowl. Julius is killed in Opal’s plot – that is a disaster by itself but, it was Holly Short who was framed by Opal in the incident and she is charged with murder. Only one person can help her retrieve her LEP career, and also save the fairy world, Artemis Fowl that is, and he retains none of his fairy memories, owing to the mind-wipe and is busy stealing a priceless piece of art in Munich. This book, in my opinion had a more interesting plot than ever and to the reader’s delight, Artemis old character returns, thanks to the mind-wipe, with him going back to his criminal activities. Moreover, a direct confrontation between Opal and Artemis where the latter is absolutely helpless, and has no contact with Foaly; is a highlight, something which was lacking in the second book. The last, Mulch was ever-present in this book, for a change, he is doing something for Artemis without expecting anything in return. So, on the whole, the vengeance idea was carried out well, with the typical elements of an Artemis Fowl novel in it. 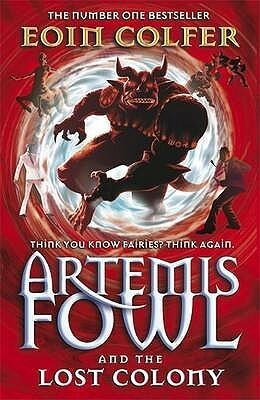 On the whole, this is one of the best books in the Artemis Fowl octet (I’m yet to read the eighth book) and deserves a rating of 9/10. ‘How much do you know about the infamous Artemis Fowl and the People? Become an expert on everything in Artemis’ world, with this hilarious and essential guide to the Artemis Fowl books. 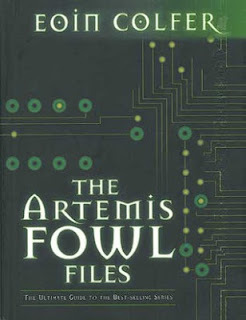 Artemis Fowl Files is an ancillary book in the Artemis Fowl octet written by the Irish author Eoin Colfer. It was released during the gap between the release of Artemis Fowl and the Eternity Code and Artemis Fowl and the Opal Deception. 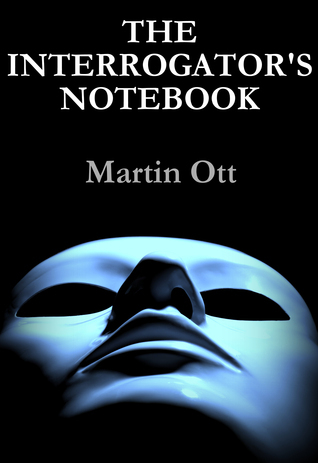 It contains interviews, some puzzles, the Gnommish script decoder, interviews with the characters and the better part of the whole thing, two short stories. One of them is an event that takes place before the start of the series, which is Holly Short’s promotion to the rank of a captain and also her admission into the Recon. The second story, The Seventh Dwarf is a recollection of an event that takes place after the completion of book one but before Arctic Incident where Mulch and Artemis, together, try to steal a tiara. I found the stories to be good, especially the first one – Holly was her usual self, as good as ever. While the idea of the second one was good, I felt it to be logically inconsistent – for in the Arctic incident, while neither Holly nor Artemis say anything to indicate that they’ve not met during the interim period, nevertheless, one of what Butler said was clearly indicating how he had no idea about Mulch after the Fowl Manor siege. I found the additions, quite boring, especially when I read it after five years. Yes, when I was a thirteen year old, the puzzles, the flashy diagrams of Foaly’s inventions did have me fascinated but when I read it the second time, I found the interviews dull (did Colfer interview himself or did he get someone else to do it for him? ), and I was particularly disappointed with the BIG REVEAL – that is the Gnommish script. Before reading the Files, I expected something different, something a little more complex, like Tengwar in The Lord of the Rings but Gnommish just happens to be the Latin script with different symbols and decoding requires no skill whatsoever. While I liked the two stories, there is nothing special about this otherwise overpriced supposed ‘ultimate’ guide to the Artemis Fowl books. For the sake of those two short stories, I’d rate it a little more than ‘bad’, to a neither here nor there rating – that is five on ten. ‘Girish and Prajakta are in love. Very soon Girish will be joining the numero uno IT company of the country. He prepares himself by buying expensive clothes and other accessories he had always dreamed of. He and Prajakta have together planned to build on a good bank balance and then meet each other’s families to talk about marriage, probably after a year or two. Unexpectedly, the families get involved before Girish can join the IT company. Against all odds, the couple manages to convince their family and an engagement date is fixed. But destiny has other things in mind. 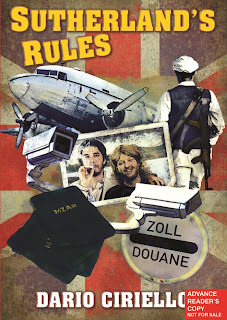 A global catastrophe mars their plan which leads to the engagement getting annulled. 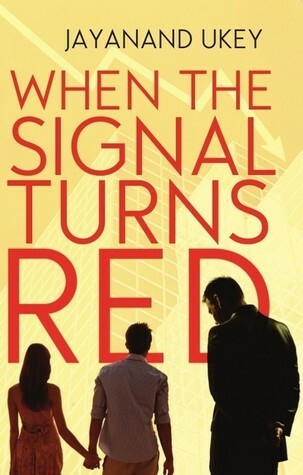 When the Signal Turns Red is a romance novel which happens to be the first work of the author, Jayanand Ukey that has been published. I’ve never tried the genre before, but this being a direct request from the author himself, I accepted it. Girish, a 22 year old who has completed his graduation, is about to join a leading IT company, DCL. He is in love with his college mate, Prajakta, and they wish to get married after working for some years, but, the girl’s parents find out about Girish and the families fix their engagement. However, their plans are in turmoil as both have lost their jobs, owing to the recession and the Prajakta’s father breaks off the engagement. It is quite a short story, with just 198 pages expressed in simple words, and thus, a person who is really fast at reading might finish reading the book in ninety minutes. However, speed being my inherent limitation, I took me two days to complete the book. I liked it how this was so unlike the other Indian love stories in Indian films, with both the lovers actually being qualified and their parents actually agreeing to their choice without much discussion. 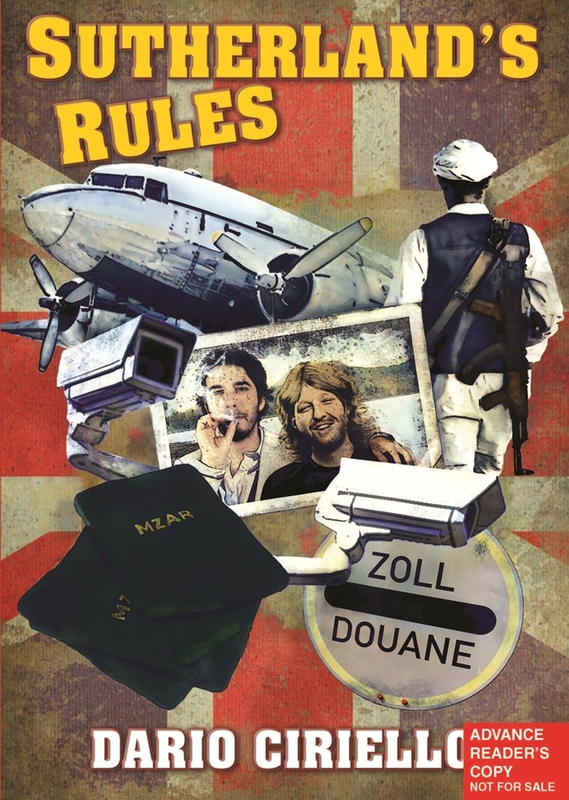 The plot was simple and straight forward, without many digressions or sub-plots and the characteristics of the two families were brought out well. Moreover, I liked how the author chose the financial crisis as the background and with the author himself being in the IT sector, he is someone who’d understand it best, the loss of jobs in the IT sector which started in 2008. My favourite part about the whole thing was that I was promised a light read, and it was delivered, with precision. However, on the flipside too, I’ve a lot of points. While I praised the simplicity of the author’s writing, I found the sentences to be too short, doesn’t even give the reader a chance to enjoy the flow of the words. Moreover, I wasn’t particularly pleased with the character building, even that of the protagonists, Girish and Prajakta. While I liked the background being the financial crisis, I felt the description of the same was over-simplified. And the last being the finish, till then, the story was going normally, events that took place were plausible, but the finish (which I’m certainly not at liberty to disclose), unfortunately was like any other typical Indian film. But I’m sure that for many readers, these points are not so relevant and this book certainly has a strong audience. Overall, I felt that it was a good attempt from a first time author, who had a good story to tell, but the only bone of contention being that the same could have been expressed better. For coming up with a good idea for a story, my minimum rating is a six on ten.